Disney’s Vinylmation Facebook page hit another milestone, 8200 fans. 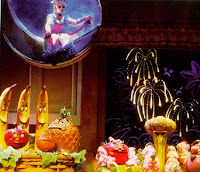 And as predicted, 1982 being the year EPCOT opened, we saw the release of some special EPCOT Vinylmation Concept Art. No indication if these are 3″ or 9″. No release dates or edition sizes either. Just some fun teases to keep an eye out for. Maybe around Project Florida in September? Love it or hate it, the EPCOT ball had a wand attached to it for 8 years. This figure celebrates the occasion. 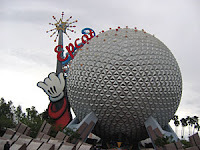 In the picture, it says “EPCOT” above the ball, however, when the wand was originally put in place in 1999, it said “2000” as on the Vinylmation. 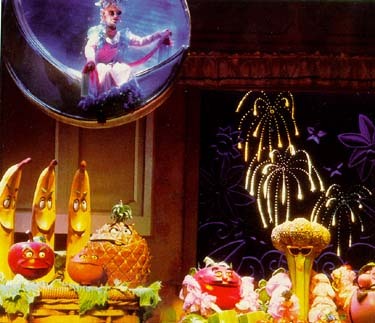 Kitchen Kabaret was a 13 minute show at the Land Pavilion in EPCOT featuring animatronic food. 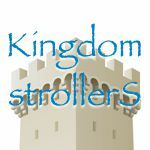 It was an opening day attraction and lasted until 1994. 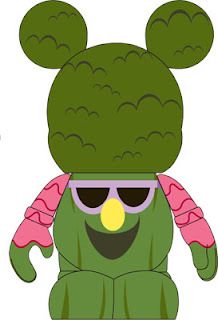 This broccoli character was in a Latin music band toward the end of the show and shook maracas while yelling “cha cha cha!” This Vinylmation even has him in his signature colorful sleeves. Living with the Land has been around since EPCOT opened it’s doors on October 1st, 1982. It celebrates how people can use the Earth’s resources in a responsible manner. It also informs guests on steps Disney takes to produce food for its guests. The colors of this Vinylmation match the mood and colors of the Land Pavilion. It’s also great to see another piece from up and coming Vinylmation artist Caley Hicks who designed the Flag series. 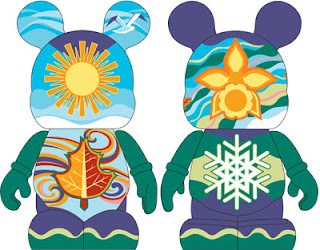 What do you think of these EPCOT Vinylmation? I wish the 2000 one said EPCOT instead but I still really like it and the Living with the Land one. I will be keeping an eye out for these. 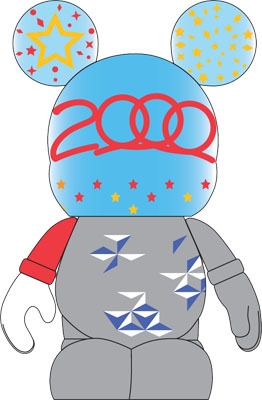 So…do we think the Epcot 2000 one will come with a wand so you can turn the Mickey arm up, holding the wand under the star in the ear?